In 1892, at the Fifth International Conference of the Red Cross Societies held in Rome, Italy, the idea was officially proposed for mobilizing youths within the movement. The project initially came from the Ladies Committee of Moravia, who suggested associating children and youths from primary schools, intermediary schools, and universities with the work of the Red Cross. Dr. Franz Hektor Ritter von Arneth from Austria submitted the document to the delegates. The main idea behind this proposition was to educate young people about the principles of the Red Cross and to develop an interest among them for its activities. 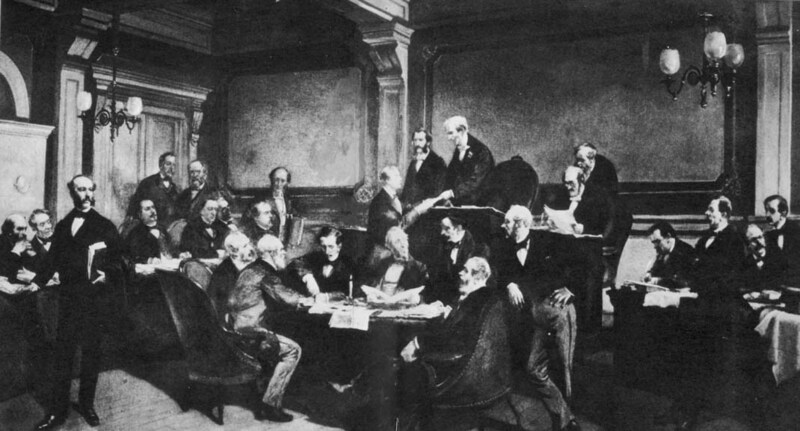 The Japanese delegate, Alexander von Siebold, was in favor of the proposal. However, it was received with little enthusiasm by the other delegates. The proposition was rejected by the assembly without any real deliberations. This was not the first attempt to get youths involved in humanitarianism. From the early years of the International Red Cross and Red Crescent Movement, founded in 1863, several people, often on their own initiative, previously had made various attempts to engage children and youths with its humanitarian activities. Some of these efforts were successful at a local level in the 1870s and 1880s. However, the idea of educating children and young people about the principles of the First Geneva Convention (1864) and the values of the Red Cross was first raised and debated by the Red Cross delegates during the Fourth International Conference of the Red Cross Societies, held in Karlsruhe, Germany, from 22 to 27 September 1887. 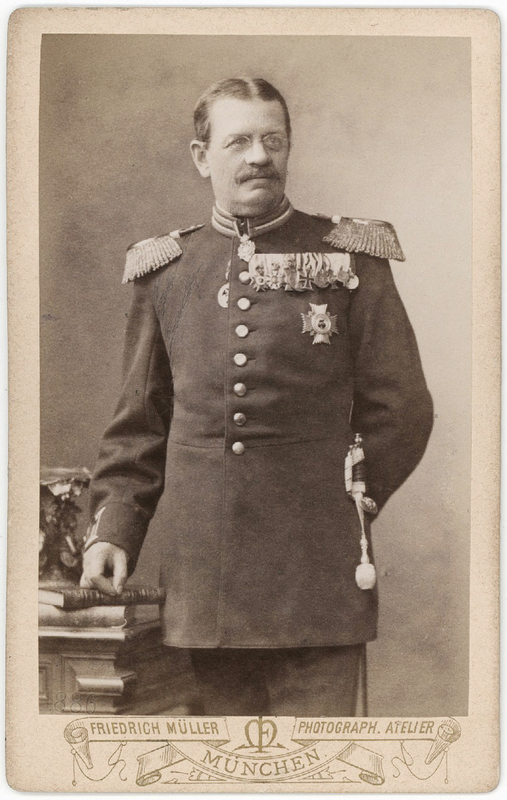 Hoping to promote the ideals of the movement in the army and among the general public, the Surgeon General of the Bavarian army, Dr. Karl von Lotzbeck, suggested teaching the principles of the Geneva Convention in schools. Although the idea of encouraging the propagation of the values of the Red Cross among youths was well received by the delegates, several of them were reluctant to bring Red Cross programs into the schools. In the end, the conference delegates only agreed that every national societies should be responsible for making children and young people aware of the ideas of the Red Cross. As a result of these initial appeals, over the next two decades, several temporary efforts to involve children and youths in the work of the Red Cross, especially in the context of war, were undertaken worldwide. In 1898, a youth group called the "Sampson Parlor" was organized at Berkeley in California, United States, in order to raise money and prepare articles to support soldiers involved in the Spanish-American War and to help children and women left behind. Two years later, in 1900, a youth group called "The Maple Leaves" was formed at St-Mary’s in Ontario, Canada, by Miss Adelaide H. Clayton, a teacher with strong imperialist feelings. This club of schoolgirls collected more than 340 Canadian dollars to help soldiers involved in the second South African War (1899-1902). While these early experiences with young people were generally positive, they remained very limited in scope. These examples are although worthy of interest since they are similar to the actions that were carried out by children and youths during the First World War (1914-1918) (Glassford: p. 132-133). Shortly after the outbreak of the conflict, many young people started assisting adult volunteers in their Red Cross works, including sustaining the war effort of their own countries, sending assistance to the soldiers on the front, and helping victims of the war at home and abroad. Moreover, in several countries, members of formal youth organizations such as the Girl Guides, the Boy Scouts and the YMCA also participated actively in the activities of the Red Cross during the war - the Red Cross in general, and the Junior Red Cross (JRC) in particular, has sometimes relied on the networks of such organizations to promote the Red Cross values and encourage the establishment of JRC branches throughout the world, even after the end of the war and the formalization of the JRC in the 1920s. The Red Cross humanitarianism proved to be very popular among children and youths during the Great War mostly because of its nationalist form of organizations and its close link with states and wars which allowed young people to express their enthusiasm and their patriotism through volunteering. Although their participation in the Red Cross activities was substantial at that time, it was still mostly informal, and often carried out in the shadow of the work of adults. In some countries, however, children and youths got systematically involved in the work of the Red Cross in an organised manner. Australia and Canada are often considered to be the founders of the JRC, mostly because they were the first countries to recognize the importance of mobilizing school boys and girls on a large scale and to enroll them officially in the movement. From August 1914, children sections were founded in the state of New South Wales, Australia, by Mrs Eleanor MacKinnon, an active Red Cross worker, and from October 1915, formally charted junior sections of the Canadian Red Cross were established in the province of Saskatchewan, Canada, the first one being created by Nurse Emily Holmes-Orr. These branches, which were developed directly within the school system, were used as a way of enlisting as many young people as possible in the movement with the purpose of supporting war effort and sustaining relief actions abroad. Similarly, from 1915, the Italian Red Cross started propagating the ideals of the organization among young people, and in 1917, schools were officially enlisted in the Red Cross. After the United States entered the war in 1917, numerous youth branches were also formed in the schools throughout the country with the purpose of recruiting a maximum of children and youths to contribute to the Red Cross work. A few months later, the Junior Red Cross was implemented in the schools of Manila in Philippines, then an unincorporated territory of the United States (LORCS, ‘The Junior Red Cross: Its World-Wide Organization’). The thousands of young people who engaged in the Red Cross during the war participated mainly in fundraising, gathering merchandise, and the manufacturing of various goods which were used to help soldiers and civilians in need, but they also performed various other tasks. By the end of the conflict, they had shown their value as volunteers, while providing with significant resources their national Red Cross societies. As a result of the successful mobilization of children and youths during World War I, the Junior Red Cross rapidly became central to the new peacetime program of the movement. Most of the early youth branches created during the conflict were formally recognized by their national societies in the years following WWI, and from 1919, the American Red Cross started administering diverse child welfare measures in Europe through the Junior Red Cross program, thus contributing to the dissemination of the movement abroad (Irwin: p. 169). In March 1920, an official resolution was adopted by the General Council of the newly founded League of the Red Cross Societies (LORCS) during its inaugural meeting in Geneva recommending that every national society organize the young people of their country for the work of the Red Cross. In 1922, the program of the Junior Red Cross was formalized with the adoption of the Resolution XVIII during the second session of the General Council of the League. This resolution recommended that national societies create youth branches in the schools throughout the world and charged the League’s Secretary with coordinating their activities. Junior Red Cross branches would serve to improve health and hygiene throughout the world, to create “an international spirit of human solidarity among young people”, to prepare “a new civilisation of peace”, and to ensure the Red Cross had both a moral influence and a pool of willing adult members in the years to come (LORCS, ‘Resolutions on Junior Red Cross, 1922-1961’). With this resolution, children and youths were invested with a very important political and social role by the Red Cross. From the early 1920s, several Junior Red Cross branches would thus be created throughout the world, with varying degrees of enthusiasm and success depending on the country – these include, but are not limited to Bulgaria: 1921, Great Britain: 1921, France: 1922, Japan: 1922, Romania 1922, Argentina: 1923, Belgium: 1923, Siam: 1923, Chili: 1924, Greece: 1924, South Africa: 1924, Colombia: 1925, India: 1925 (LORCS, ‘The Junior Red Cross: Its World-Wide Organization’). Even though some nations were initially more reluctant to establish Junior Red Cross branches, it soon spread all over the world. Many different forms of youth groups already existed when its international program was created in 1922. The League was responsible for setting out the general principles of the movement, but the national and local Red Cross and Red Crescent societies were mainly in charge of the junior branches. The Junior Red Cross, now known as the Red Cross Youth, consequently continued to develop in a very eclectic way over the years. Today, the International Red Cross and Red Crescent Movement is the world’s largest humanitarian network. It comprises three distinct bodies: the International Committee of the Red Cross (ICRC), the International Federation of the Red Cross and Red Crescent Societies (IFRC), formerly known as the League of Red Cross Societies, and different national Red Cross and Red Crescent societies. Its worldwide membership totals approximately 17 million active volunteers, fifty percent of whom are young people aged between 5 to 30 years old. Carr, Betty M. ‘Origin and History of Junior Red Cross’ (Washington: American Red Cross, 1946). RG 200 - National Archives Gift Collection. Records of the American National Red Cross, 1935-1946. Box 80. 102. 1 - Junior Red Cross Origin. (National Archives and Records Administration, College Park). Comité central des Sociétés allemandes de la Croix-Rouge. Quatrième Conférence internationale des Sociétés de la Croix-Rouge tenue à Carlshure du 22 au 27 septembre 1887: compte-rendu (Berlin: Starcke, 1887). Comité central de la Croix-Rouge italienne. Cinquième Conférence internationale des Sociétés de la Croix-Rouge tenue à Rome du 21 au 27 avril 1892: compte rendu (Rome: Forzani, 1892). LORCS. ‘The Junior Red Cross: Its World-Wide Organization’ (Paris: League of Red Cross Societies, 1939). RG 200 - National Archives Gift Collection. Records of the American National Red Cross, 1935-1946. Box 1030. 620.02 - LORCS -Pan American Bureau, J. R. C. – Pan American Union. (National Archives and Records Administration, College Park). LORCS. ‘Resolutions on Junior Red Cross, 1922-1961’. A0867 - Junior Red Cross Resolutions, 1922-1961 (IFRC Archives, Geneva). LORCS. ‘Compte-rendu de la Première réunion du Conseil général de la Ligue des Sociétés de la Croix-Rouge: Genève, 28 – 31 mars 1922’. A0800-1 - General Council 1920-1924 and Board of Governors 1921-1922 (IFRC Archives, Geneva). LORCS. ‘Compte-rendu de la Deuxième réunion du Conseil général de la Ligue des Sociétés de la Croix-Rouge: session de mars 1920’. A0800-1 General Council 1920-1924 and Board of Governors 1921-1922 (IFRC Archives, Geneva). Glassford, Sarah Carlene. ’Bearing the Burdens of their Elders: English-Canadian Children’s First World War Red Cross Work and its Legacies‘. Études canadiennes/Canadian Studies 80 (2016): pp. 129-150. Hutchinson, John F. ’The Junior Red Cross Goes to Healthland‘. American Journal of Public Health 87, no. 1 (November 1997): pp. 1816-1823. Irwin, Julia F. Making the World Safe: The American Red Cross and a Nation’s Humanitarian Awakening (New York: Oxford University Press, 2013). Little, Branden. ’A Child’s Army of Millions. The American Junior Red Cross‘. In Children's Literature and Culture of the First World War, edited by Paul, Lissa, Rosemary R. Johnston, and Emma Short (New York and London: Routledge, 2016), pp. 283- 300. Reid, Daphne A., and Patrick F. Gilbo. Beyond Conflict: The International Federation of Red Cross and Red Crescent Societies, 1919-1994 (Geneva: International Federation of Red Cross and Red Crescent Societies, 1997). Andrée-Anne Plourde is a PhD student in history at Université Laval, Québec. Her dissertation is dedicated to the history of the Junior Red Cross in a transnational perspective during the first half of the twentieth century. Her research is funded by the Social Sciences and Humanities Research Council of Canada. Andrée-Anne was a participant of the Global Humanitarianism Research Academy (GHRA) 2016. Citation: Andrée-Anne Plourde. ‘Rome, 1892: The beginnings of the Red Cross Youth Movement’, in Online Atlas on the History of Humanitarianism and Human Rights, edited by Fabian Klose, Marc Palen, Johannes Paulmann, and Andrew Thompson, 2017-07, urn:nbn:de:0159-2017071074 [2019-04-26].